It may be in the best interests of your children to modify your current child custody agreement. Most courts will not consider modifying a child custody agreement if it appears to be working for all of the people affected by it. The court’s primary concern is almost always what is in the best interest of your children. But if you can demonstrate that modifying the current agreement is in your children’s best interests, we can help you make the necessary modifications. If you believe your children are in danger of some kind. This is an extension of what is in the best interests of your children, but specific to their basic safety. It may be that you are concerned about your children being exposed to domestic violence, and if the danger to your children is immediate, it will be in their best interests to make alterations to the child custody agreement in order to remove them from immediate danger. If you or your former spouse plans to move or recently has moved. Physical distance caused by one parent’s move can be sufficient cause to alter your current child custody agreement. The court will consider the motivation of the parent who is moving and whether or not the move changes that parent’s ability to maintain the current visitation plan. If your former spouse is not honoring the current child custody agreement and visitation schedule. The court will consider the circumstances surrounding the parent’s failure to maintain the current visitation agreement and may see fit to make changes to the current agreement to ensure that the best interests of the children are addressed. If your former spouse dies, a child custody modification will be necessary to determine if the surviving parent is eligible to assume full custody of your children. The court typically expresses a preference for children to be placed in the custody of the still-living parent, but there are rare occasions on which the court may consider placing children in the custody of a third-party. The processes associated with child custody modification are unique to your family’s specific circumstances, but what is universal to all child custody agreements is that the paperwork must be filed with the court. 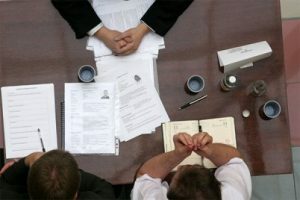 Ensuring that this paperwork is completed and submitted properly is crucial to getting your modification request handled in a timely fashion, and Johnson Mediation has the experience and expertise to help you achieve the results you seek. 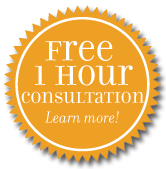 To schedule a free one-hour consultations, give Johnson Mediation a call at (952) 401-7599.